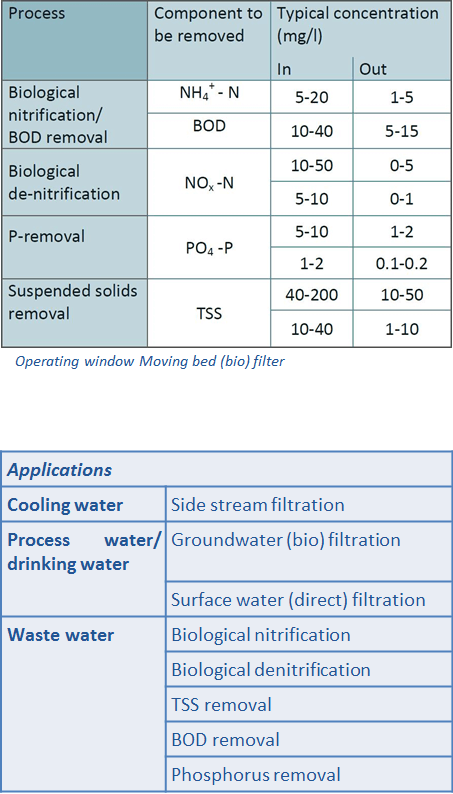 Moving bed (bio) filtration (MBF) is a mode of sand filtration based upon uninterrupted filter operation. Sand cleaning is continuous while the filter is in operation and hence a 24/7 availability of the process is guaranteed. Continuous operation without any downtime for backwashing. No storage facilities required for wash water. No back wash pumps and compressors required. Applicable for simultaneous physical- chemical and biological treatment. No pretreatment required even at high TSS loads. Feed water is flowing upward through the filter bed. Filtrate is discharged at the top. Solids are retained and if applicable biomass converts organic components. 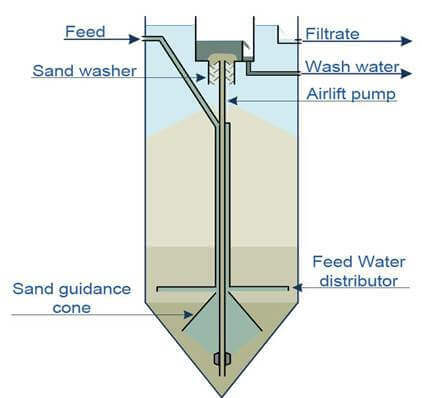 Filter sand is continuously sucked into the lower end of the airlift and transported vertically towards the sand washer at the top of the filter. In order to achieve this only a small amount of compressed is required to run the airlift. Sand is washed continuously by using a small volume of filtrate. 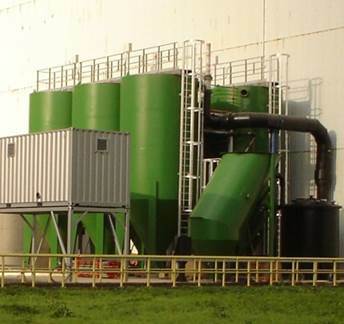 If required, process air is injected into the filter bed to create oxic operating conditions for the biomass to grow.